Congratulations to Matthew Schloneger, PhD, and Matthew Edwards, DMA, co-winners of the Van Lawrence Award. This year, against all odds, the judge’s numerical rating resulted in a tie at the top of eleven high-quality submissions. Congratulations to Matthew Schloneger, PhD, and Matthew Edwards, DMA, co-winners of the Van Lawrence Award. This year, against all odds, the judge’s numerical rating resulted in a tie at the top of eleven high-quality submissions. The fellowship is awarded jointly by The Voice Foundation (TVF) and the NATS Foundation. Matthew Schloneger is a voice professor and Chair of the Department of Fine Arts at Hesston College, KS. 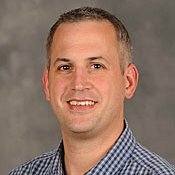 Dr. Schloneger is on a roll at the TVF Annual Symposium; he was awarded the first-ever Best Student Presentation Award at the 2015 Voice Foundation Symposium. He is a two-time runner up for the Van Lawrence Fellowship (2013 & 2016) and also received one of two New Investigator Forum awards from the Voice Foundation in 2013. Hesston College music faculty member Matthew Schloneger, Ph.D., was selected as one of two winners nationally for the Van L. Lawrence Fellowship, recognizing a combined commitment to excellence in teaching and voice science. 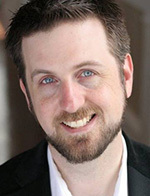 Matthew Edwards is an associate professor, coordinator of musical theatre voice, and Artistic Director of the CCM Vocal Pedagogy Institute at Shenandoah University. Dr. Edwards is a regular presenter at TVF Annual Symposium and has co-authored studies for TVF Journal of Voice and NATS’ Journal of Singing. During the fellowship year he intends to conduct a human subjects study with Aaron Johnson, PhD at the New York University Voice Center based on prior studies by Echternach et al. (2008, 2010) and Moerman et al. (2015). The results of this study will provide further insight into the differences between classical and CCM genres that will benefit studio teachers, singing voice specialists, and their students.